Are you tired of buying expensive IT equipment and complicated applications? Have you had enough of hardware and software that you constantly need to install, configure, test, run, protect and upgrade? Then cloud manufacturing is for you. Shut down your IT department and move your business to the cloud! 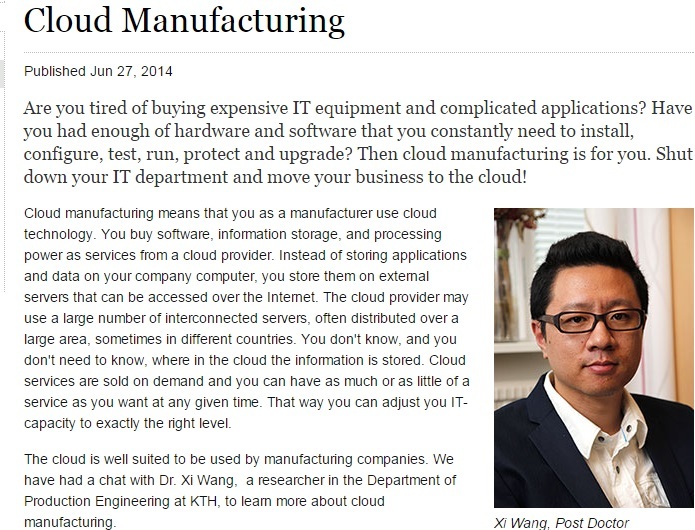 Dr. Xi Vincent Wang was interviewed regarding the Cloud Manufacturing paradigm and future production solutions.